The Auditory Culture Reader is a great book. I remember buying a copy at the British Sociological Association in 2004. I was working on my PhD at the time and the book really helped with the work I was trying to do on the transformation of the spaces of music production and consumption. The book was originally published in 2003. The editors, Les Back and Michael Bull, discuss the original project in this podcast. They also discuss the new tenth anniversary edition of the book that they are currently working on. Apart from providing some interesting insights about the book and about their work on sound, the podcast also has some interesting discussion of the collaborative editing and writing process. 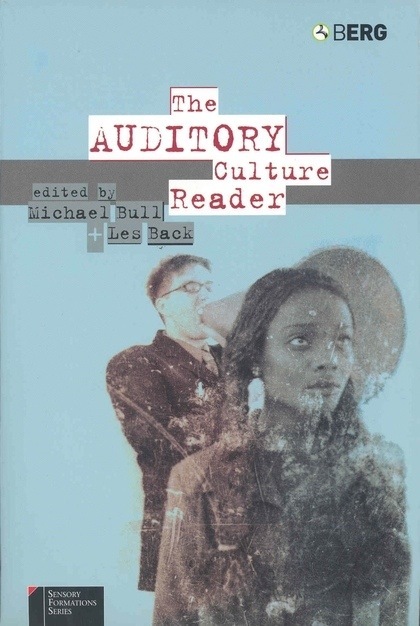 This entry was posted in cultural theory, infrastructures, music, objects, space, writing and tagged anniversary, Auditory culture, book, Les back, Michael bull, reader. Bookmark the permalink.